Good morning! One of the main reasons we launched MP Rise was to form an answer to questions such as; what does it look like to live for Jesus at school? How can I share my faith with friends?How can I honour and glorify God in my homework and social life? I've found that lots of my friends are really supportive and often interested to know why I follow Jesus, and what keeps me going through the tough times. It's all about opening up opportunities to talk about Jesus. Sometimes it's simple things that will make people realise there's something different about you - showing them kindness, being a shoulder to cry on when there's no one else there - all good things that will help you to show the love inside you and passion for Jesus. I find often enough that friends will really appreciate it if you let them know you're praying for them as it shows how much you care and how God can work in their lives as much as yours if they let Him in. It can sometimes be hard at school if you don't necessarily have a Christian friend but it might be God has placed you in a friendship group so you can impact others lives, and help point them towards Jesus. You are that light in the darkness, and God always has a plan greater than we can imagine. As a Christian in school it's easy to feel like you can't discuss your faith without being judged but I'd encourage you to be open and bold in your faith. Let Jesus shine through your actions and the way you act in social situations. I'd encourage you to be intentional about how you talk; for example, not using the Lord's name in vain or not swearing. Simple things but will make others notice something different about you and often can open up conversations to talk about your faith and what it means to you. It's important to live like Christ and show others the light inside you that constantly shines for Jesus. Surround yourself with a supportive group of friends who will encourage your faith and not hinder it! Hebrews 10:24-25 talks about 'spurring one another towards love and good deeds' - it's so important to be intentional with Christian friendships at school, home, or church so that you can encourage one another to keep living for Jesus through the highs and the lows. I believe it's important to continue growing in your relationship with God and strengthening your faith through the power of prayer. We can talk to Jesus about anything! 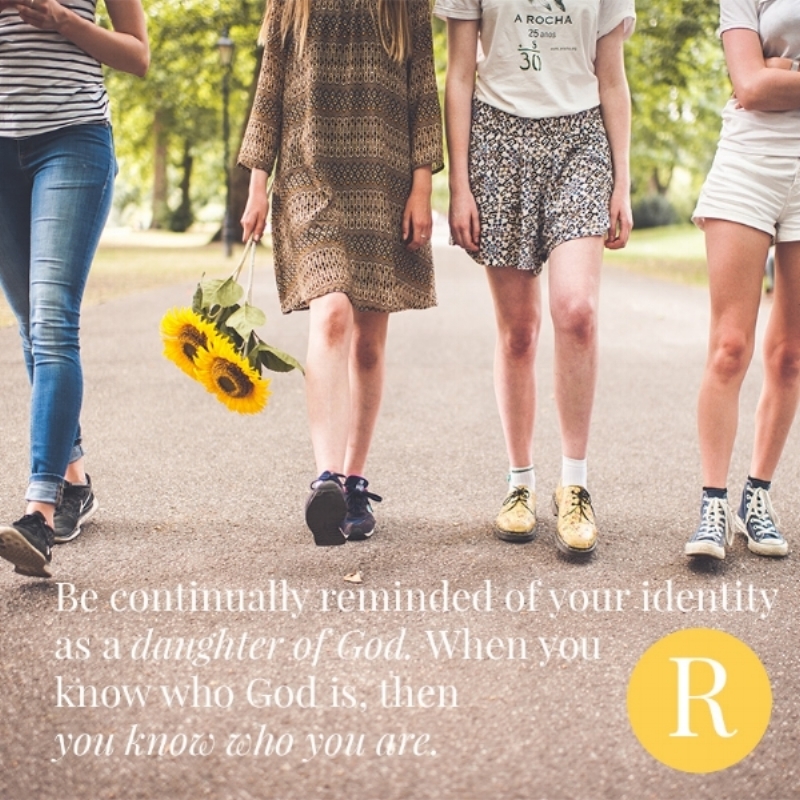 It doesn't mean you need to know all the answers; it's about knowing and being continually reminded of your identity as a daughter of God. When you know who God is, then you know who you are. Regularly praying and meeting with Jesus equips you to carry His incomparable joy and immeasurable love. The more time we spend with Him, the more we get to know His heart, and how He longs for a relationship with those who don't yet know Him. As Christians we have a chance to partner with Him to bring his love and tell others the Gospel! He wants to see more people entering his kingdom and He will use you to help reach those most in need of the unconditional love of Christ. I've recently just finished my GCSEs and before some of my exams, friends would ask me to pray with them beforehand. It was incredible as many of them were so grateful and explained how they felt an overwhelming sense of peace after I'd prayed, and I knew that it was God working through me reaching out to my friends and letting them know he was close. The peace they felt was God drawing near to them, a huge step in talking about Jesus with my friends. I'm encouraged to never give up praying for my friends as I do each day, because God will be working through you and you'll be impacting people's lives in ways you may not always realise. You can have complete assurance to step out in faith at school, boldly and confidently sharing the Good News that Jesus is alive and He saves, knowing that as you do so God is always with you. Sarah has just started studying for her A-Levels in Salisbury. She has a huge heart for Jesus and a passion to see others come to know Him. She is excited to see what the future holds during and after school, and can't wait to see how God is going to use her during her final years.